Hi, I am not going to give any names but want all to know the following information. I have been a JWs for 40 years since I was 6 years old, 2 weeks ago I got the reform blood information from the net, and totally agree with what they say as I have experienced it myself and seen so much I could write volumes on it. Anyhow, last week I printed out all the information 135 pages of it and got it bound up in a volume binder, I photo copied it and did another volume, and gave this to my father to read only to find this very week my Step mother was rushed to hospital with a serious problem, while having keyhole surgery the surgeon accidentally pulled a vain that was stuck to the back of an organ, there is no way that he could have avoided it as he could not see it, and the next thing it burst and blood was gushing everywhere. My father being very loyal to the WBTS felt he knew what to do, but I had told him about the reform of blood and it had played on his mind as he read some of it, he quickly said yes to blood, hoping & feeling this was the right thing to do. He said afterwards he could not say no as his conscience was not happy about saying NO. If you don’t feel it right, how can you make a stand on it, he said. The doctors gave 12 units of blood and she was in intensive care for 3 days but pulled through, the doctors said she would have died with in five minutes if they never gave it to her, NOW SHE LIVES! My father read 3 times ALL NIGHT LONG the information and said, I ripped up my blood card after this, and what more he adds “if I had made a stand on blood according to the WBTS policy, and then read this I would have gone nuts and sued the WBTS, no messing about, he was so angry about what the WBTS had failed to tell him on blood. My step mother does not know she has had blood yet, she is too ill to talk, but my father said when she is ready he is going to read it all to her and then tell her if it was not for this she would be dead. He says that after she reads this she will understand and will agree… I am now making copies of reform material to distribute to all I know. So for what its worth, the Reform on blood just saved one life! I appreciate the intelligent views here offered by these brave HLC members. Having been a faithful JW for over 30 years, I (with a good 10 years’ struggle with this and other issues) am no longer a practicing Witness, now for a year. However, my love of Jehovah & Jesus are very much intact, as is my prayerful relationship with them. My 18-year-old son broke both femurs (one crushed and one compound fracture) when, in a wreck, he found the motor of his Geo on his lap. It took the Jaws of Life over 1/2 hour to extract him, whereby he lost most of his blood on Nov. 1, this year. I was out-of-town and had nothing to do with the decision, but my husband (raised a Witness) “conscientiously” allowed a transfusion. I, being a health care professional 14 years, have researched the subject very much (thus it has never bothered me to give RhoGam shots). By the time I got home, I have to admit I felt many mixed emotions when I saw him in ICU with blood going into his vein (almost sickened literally). We had requested that NO one but us be allowed in–elders were in the hall. I was paranoid enough to demand the nurse to flush his line completely (as I watched critically) with saline, before wheeling him to his room a couple of days later. I am grateful he is alive. I will tell no one we know, not even family members, lest he/we be ostracized. He is grateful for the decision. I will wait upon Jehovah to enlighten the Society (if this happens). But, it is going to take people such as yourselves to press the matter…such a needless waste of precious life. Yes there are dangers in accepting transfusions, but until I can be convinced they are biblically wrong, I will remain here in No Man’s Land, willing to accept God’s judgement if I’m way off base (but I am solidly convinced, by prayer and research, otherwise). Please, for the love of the brotherhood, continue bravely. May your heart and Jehovah guide you. A few years ago, I faced severe illness. It was a slowly progressive illness. As death neared, I was told that an organ transplant potentially could be life saving. Before an organ became available, I became extremely ill, at which time I was placed in an ICU and was told that I needed FFP (fresh frozen plasma). My red cell count was down too, but the immediate problem was that my blood would not clot. I was literally bleeding internally (plasma was oozing out of my blood vessels into the surrounding tissue resulting in great swelling of my body). My body could no longer make the clotting factors or other proteins needed. A HLC member had told me that administration of albumin was “OK” to help correct the protein problem. I had been getting large doses of albumin for days before I was admitted to the ICU. Still I got worse. The same HLC person now told me in ICU that I could not take the FFP because it was not on the Societies permitted list. He said that factor VIII was OK (it is available separately from FFP). The doctors had told me that I needed more than factor VIII. There were a number of other factors in FFP that I also needed, according to the doctors. A little later that evening the physician returned to ask me what I thought of our discussion with the HLC elder. I admitted to him that I was confused by the seeming inconsistency of his “reasoning.” Only after I indicated to him that the HLC elder’s points seemed hollow and contradictory did this doctor say in effect that his remarks were the worst case of double talk that he had ever heard. We agreed that if all of the FFP components were OK separately, it made no sense to prohibit them together (I thanked Jehovah that as sick as I was on that day, I still had enough mental power to recognize such double-talk). I gave permission for the FFP and it was administered that same night (under cover of darkness) out of sight of the elders at the suggestion of this caring doctor (he referred to the HLC elder as the “Gestapo”). I began to improve almost immediately after receiving the FFP. A few days later, an organ became available and I survived the transplant operation. I am again able to make my own clotting factors and other blood components. Had I chosen to stick to the Societies position (that was my intention until I heard the double talk), I would be dead now. I have not confided this information to the local elders, nor do I intend to do so. I first met John on an extended training course I was attending in connection with my employment. The company was small and there were just the two of us. As we were staying at the same hotel we were able to spend long periods together and as a JW, I naturally moved the subject around to the Bible. To my surprise and delight it turned out that John had some involvement with the Witnesses and over the weeks we were together I was able to direct his thoughts back towards the “truth”. John was newly married and on the weekends he made a long road trip of over 300 miles to be with his young wife. He clearly was devoted to her and it was plain the separation for the young couple was very hard. After the training was over I returned from London to the Midlands and John returned to Scotland. We kept in regular contact and met at least once a year at the annual conference the company held for us at its London headquarters. The time past and John proudly telephoned to tell us both he and his wife were to be baptized and become JWs. My wife and I were very happy, it seemed that somehow that initial meeting had been part of some “higher plan”. I soon noticed, however, that John was prone to be very dogmatic on things, compromise was not in his faith. It was after the baptism that we heard that John’s wife was pregnant and we awaited the happy event sharing their joy. It was late one evening that the telephone rang and when I picked it up I knew there was something dreadfully wrong. Even before John’s hesitant voice spoke, I could hear Carol his wife sobbing in the background. John did not give his usual extrovert greeting, he just said very quietly “It’s John here”. Somehow I knew what he was going to tell me and I felt very cold inside. He did not mention anything about a blood transfusion at first, only the facts leading up to it. Carol had gone into labor and John had taken her to hospital, he remained with her as the labor progressed. All seemed to be going well until she began to hemorrhage violently. Suddenly their world fell to bits, as JWs they had specified no blood transfusion under any circumstances. Now as a doctor worked to control the bleeding they both confirmed this. After a few moments John was sent outside the room and remained stunned and frightened in a corridor. After what seemed like eternity a doctor appeared from the room where Carol was fighting for her life and asked him again about giving her blood. John stood his ground. Then the doctor said very quietly “Then you had better say goodbye to your wife.” What confronted John in the hospital bed was a Carol devoid of color, ashen and panting. Clearly her hemoglobin levels were now very low. Her deep rapid ventilation’s confirmed her body was struggling to maintain oxygen levels. Carol took hold of her husband’s hand and sobbed between gasping for air, “Please John, don’t let me die.” More than two decades have past since John relayed those words down the telephone to me, yet still I feel something of the pain he felt. Quietly I asked John, “Did you allow them to transfuse her?” there was a long silence and a single word, “Yes.” I must have remained silent for several seconds, I expect John was waiting for some “theocratic rebuke” or a gentle click as I put the ‘phone down. Suddenly something seemed to break inside me, “John,” I said,” you have done the right thing.” I gently asked him if I could speak to Carol. She was sobbing so hard she could hardly speak, they had come home, the baby was with them, they had carried the secret for over a week, lonely and miserable, frightened and confused they had turned to me for help. I consoled her as well as I could, tears in my own eyes. I assured her that all was well and when they were ready to just talk it over with some mature brothers. Later I was very glad to know that they had been dealt with in charity by the congregation. John will never know the mix of emotions that were boiling inside me as I placed the telephone back in its holder. Somehow he had become the catalyst for all the inward doubts I was holding inside. My keen interest in history had taken me into dusty old bookshops, collecting ancient and sometimes rare copies of early WT publications. I had even devoured volumes of early Watchtower Reprints. I knew more than John ever would the repeated changes in dates and doctrines. Only a few weeks before my sister-in-law had spoken with profound conviction about the absolute certainty of 1914 as the date of the second coming. I had replied that if they were so certain it was 1914 how come the original date had been set as 1874. My relative had told me that was impossible and the “Society” had always used the date 1914. Out came my near mint set of Studies In The Scriptures (1905) and the evidence was presented. My sister-in-law was a bright intelligent woman but within a few seconds of reading the statement she closed the book and refused to discuss it. It was as if a shutter came down in her brain. She blocked off the information, she could not cope with it. What if the whole blood transfusion question was like a date. What if one day the Governing Body would change its view. It had done it on 1874, why not blood transfusion? I had book upon book full of failed speculations. Some of them like The Finished Mystery verging almost on the comic if not lunatic. I had to say that John had done the right thing. But I was haunted by what John had told me. What if the little baby girl had been harmed. What if Carol’s blood loss was so great the baby within her had been compromised? I thought of the unborn child already distressed from a difficult labor now deprived of oxygen as the level of Carol’s red blood cells spiraled downwards. The only oxygen available to that unborn infant was from her mother. What if brain damage had occurred? Clearly I could never add to their emotional burdens by even mentioning it and it was with a great feeling of relief that they both visited us some time later. A bubbling, bouncing, full of fun little girl played on our carpet. She was unharmed. Yes indeed John had done the right thing. 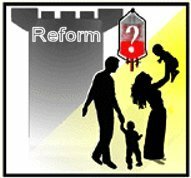 Can somebody send me the link to the “reform blood info book”. The individual you are asking about simply printed out all of the information on the AJWRB web site, and bound it together as a book. You are welcome to do this as well for your personal use.